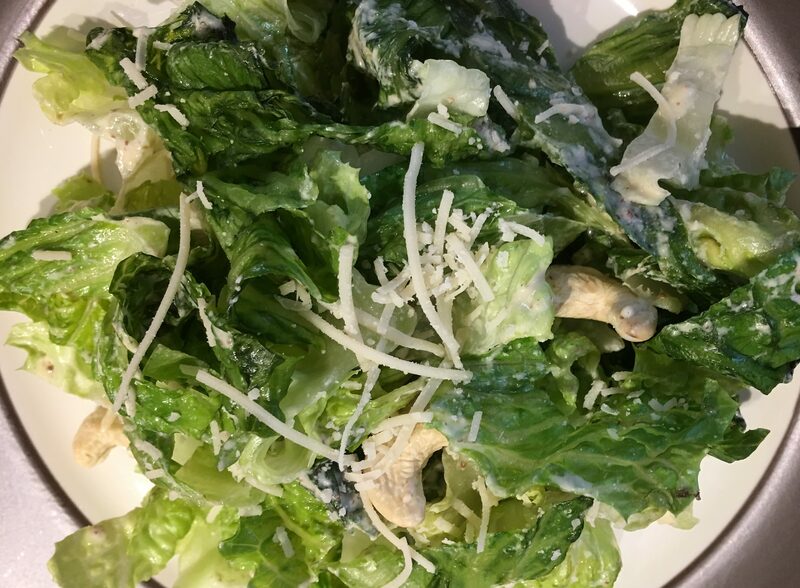 The classic Caesar Salad was one of my favorite salads for decades but after adopting a plant-based diet, this Mexican (yes, the Caesar Salad originated in Mexico) salad was no longer an option. I would be less than honest if I didn’t admit I missed this classic side dish. But, not for long because I figured out how to make a tangy and creamy Caesar Salad without the eggs, anchovies, Worcestershire sauce, and parmesan cheese. 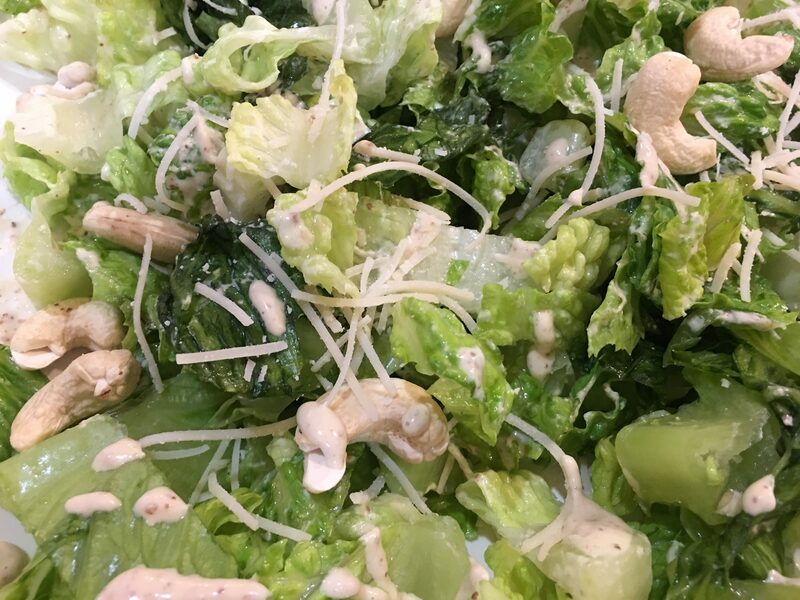 At first, I relied on store-bought vegan salad dressings but most had a lot of oil, which I try to minimize and then, I realized two things: one, I could make my own creamy dressing using raw cashews; and two, Follow Your Heart® Dairy Free Parmesan makes the salad taste more authentic. 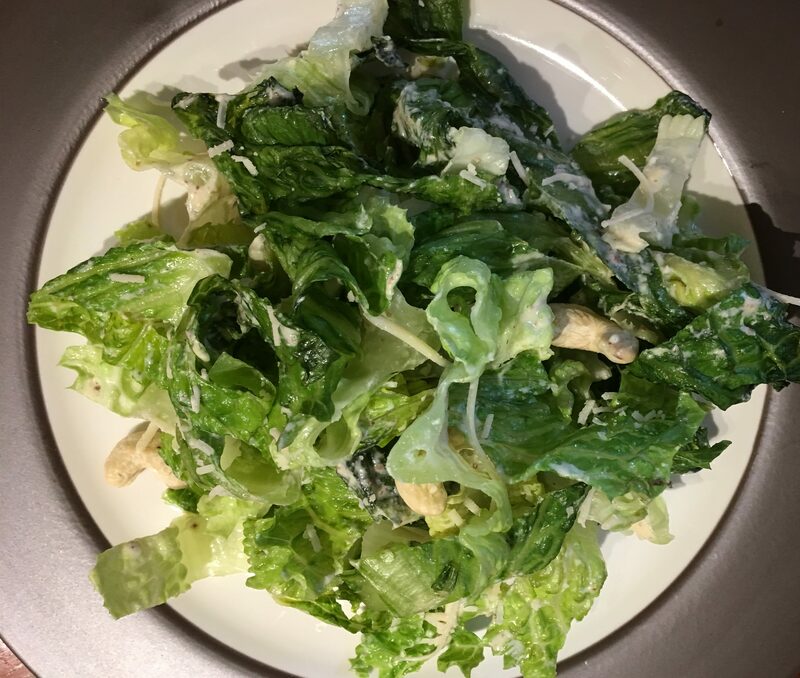 The following recipe is a variation of Cathy Fisher’s “Caesar-Y Salad” from her cookbook: Straight Up Food (which I highly recommend for anyone who wants easy, great tasting food without salt, oil, or added sugar). My version omits the red peppers, calls for more lemon juice, minimizes the mustard and garlic, and adds a few tablespoons of Follow Your Heart™ Dairy Free Parmesan, to create a nutritional, delicious, tangy plant-based Caesar Salad. Place the water and cashews in a blender and allow to sit for about 15-20 minutes. Add the lemon juice, mustard, raisins, garlic and seasoning. Blend to mix for about 1 minute. Pour the dressing into a bottle. Place the chopped lettuce in a large salad bowl. Drizzle the dressing over the salad. Toss. 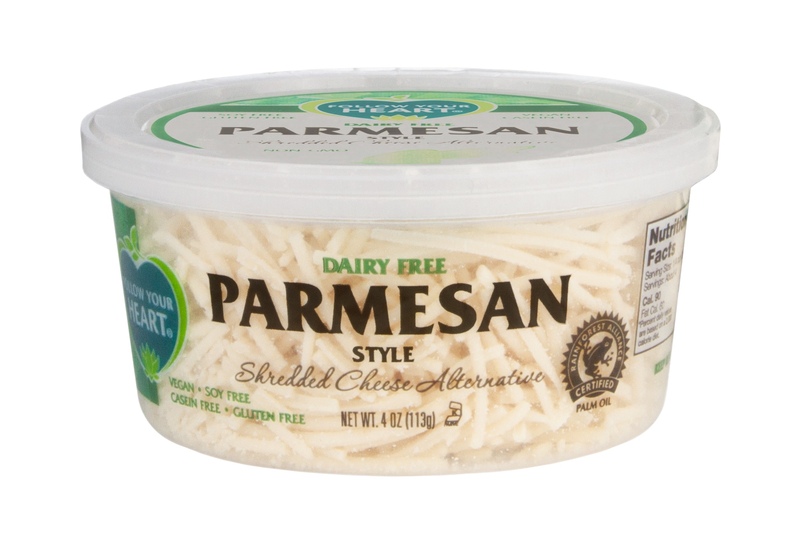 Sprinkle a few tablespoons of “parmesan” on the salad along with the cashews. Serve immediately. Store the extra salad dressing in the refrigerator for later use.